Madonna : Madame X album download | Has it Leaked? Four years after "Rebel Heart", the album who almost entirely leaked online months before its release date, Madonna comes back with a new musical project called "Madame X". She teased the new release on her instagram account before officially announcing it with a video on April 14th. In her own words, "Madame X is a secret agent, traveling around the world, changing identities, fighting for freedom, bringing light to dark places. Madame X is a dancer, a professor, a head of state, a housekeeper, an equestrian, a prisoner, a student, a mother, a child, a teacher, a nun, a singer, a saint, a whore and a spy in the house of love." On April 15th, she also announced on Instagram the first single off this new record, "Medellin (feat. Maluma)". It is still unclear what collaborations are to be expected for this new era, since the artist has spent some time in the studio over the last two years with artists like Mirwais, Anitta, Maluma, among others. "Medellín" is an upcoming song by Madonna featuring Colombian singer Maluma. 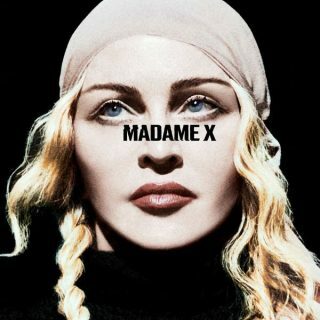 It will be released on April 17, 2019, as the lead single from Madonna's upcoming fourteenth studio album "Madame X". The song is named after the city in Colombia where Maluma was born.